After watching the short follow up documentary to forks over knives called engine 2 kitchen rescue where it shows two different families how to cook and eat a plant based diet, I got the inspiration to make these delicious panini sandwiches for vince and myself for our lunches today. 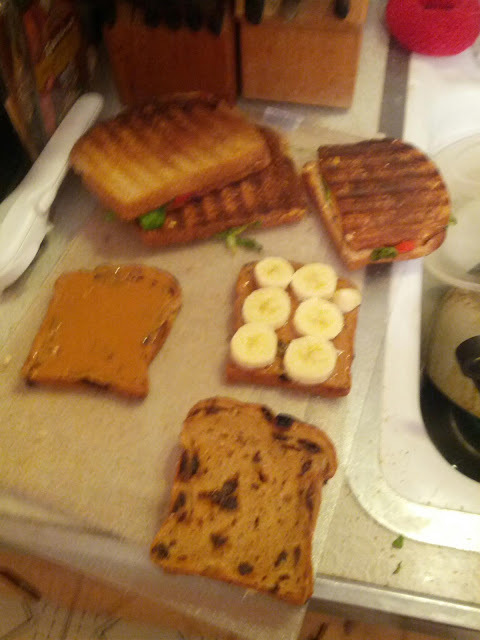 I also made some banana and peanut butter sandwiches with organic cinnamon raisin bread from trader joes. Yum!